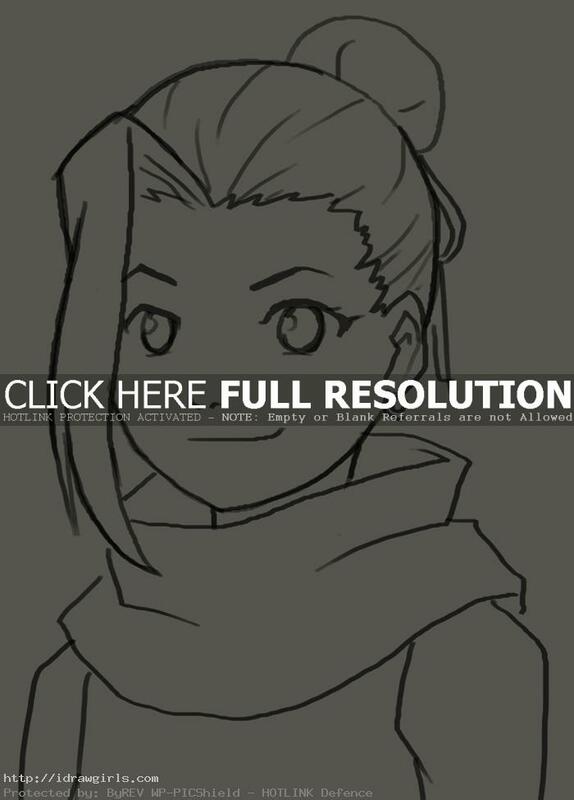 How to draw Yamanaka Ino from Naruto Manga series. Ino Yamanaka, 山中いの, is one of the main supporting characters of the series. She is a chūnin-level kunoichi of Konohagakure’s Yamanaka clan and a member of Team Asuma. Along with her team-mates, Ino makes up the new generation of Ino–Shika–Chō, just like their fathers were before them. Learn how to draw Yamanaka Ino step by step basic Manga drawing lesson. Learn basic drawing and sketching technique for Manga, Anime and comics from TheArtClasses.com In this tutorial you will learn to draw an Manga character Yamanaka Ino along with basic drawing tips and technique. First, you can use simple geometry shapes to construct the basic Manga head and body. It will make your drawing process a lot easier once you get the shape and proportion right. You also have to make sure the shape of eyes, nose and mouth are correct. Also remember to put each element in its correct spot. I usually start of using sphere or circle as a base for character’s head shape, then next step would be figuring out the next basic shape to fit into the image. Yamanaka Ino is constantly thinking about boys and takes a great deal of pride in her appearance, which was seen even during her younger days in kunoichi training. She also takes great effort to keep up as well as improve her appearance, as seen from her constant dieting to lose weight in the belief it will make her more attractive. Ino tends to take charge of her team-mates due to their lazy and nonchalant natures. She however clearly cares for them, as shown by her relief when Chōji survived near fatal injuries. Here is a final drawing of Yamanaka Ino from Naruto. 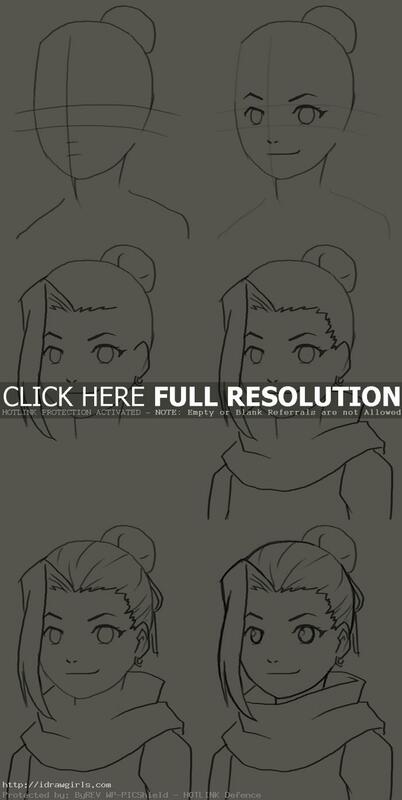 Below are step by step how to draw Yamanaka Ino. Step one, I drew her head, hair and facial guideline roughly. Step two, I drew her eyes, nose and mouth along the guidelines. Step three, I added her front side bang and finished up her hair style. Step four, I drew collars detail and the rest of her costume. Step five, I added additional hair lines over her hair. Step six, I cleaned up her facial feature and finished up the drawing.